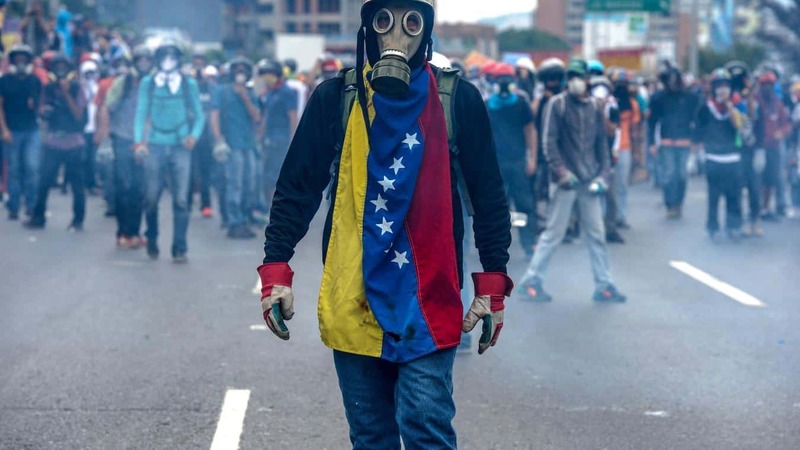 In Venezuela, opposition leader Juan Guaido has called for the military to abandon President Nicolas Maduro in a political standoff that seeks to unseat the president in his second term. At least seven people have died in the unrest which has seen tens of thousands of people taking to the streets in rival protests. Maduro accused Guaido of seeking to obtain power through intervening in his presidency with American support. Guaido has contended the validity of Maduro’s election, named himself interim president, and has been leading efforts to drive him out. US National Security Adviser John Bolton asserted there will be “serious consequences for those who attempt to subvert democracy” by harming Guaido, who is now recognized by the US and many other governments as the rightful president of Venezuela. The country’s economy relies on the export of crude oil and a decline in prices and increase in inflation has steadily created a state of crisis, which some argue has been worsened by Maduro’s presidency. Earlier this week Venezuela’s state-owned oil company was sanctioned by the US, allegedly so that proceeds will be withheld from Maduro and the sitting government. US officials said this was done in order to keep Maduro from taking money from the company to preserve his hold on power. Maduro and other critics of the imposed sanctions argue such penalties are illegal involvement by the US in the affairs of other countries. British Leader of the Labour Party Jeremy Corbyn tweeted that “the future of Venezuela is a matter for Venezuelans” and suggested dialogue and negotiation, as opposed to sanctions, would provide a resolution for the crisis. The US and Russia have both withdrawn from the Intermediate-Range Nuclear Forces Treaty, which was signed in 1987 to prohibit ground-launched nuclear missiles from being developed or deployed within specific ranges. US President Donald Trump accused Russia of violating the agreement, which Russian President Vladimir Putin denied. Trump stated his intention to pursue “developing our own military response options” in the US and Putin has made clear that Russia will do the same. Secretary of State Mike Pompeo was confronted with concerns about an arms race but argued we already suffer the risks since Russia has supposedly been violating the treaty. “It does no good to sign an agreement if the party isn’t going to comply with it,” he said during a Friday morning news conference. Russian officials secretly offered North Korea a nuclear power plant in exchange for the country’s dismantling of nuclear weapons and ballistic missiles programs. Officials familiar with the discussions claimed the offer was made last year in attempt to resolve stalled negotiations with the Trump administration over the North Korean weapons program. The deal was designed so that the plant would be operated by Russia and the small amount of nuclear waste produced by the facility would be returned to Russia, guaranteeing it could not be used to create weapons by North Korea. Critics argue the offer was simply an opportunistic attempt to intervene in negotiations between the US and North Korea. It is unclear at this point whether there are ongoing negotiations in the deal. Meanwhile, Trump and North Korean leader Kim Jong Un are scheduled to meet for their second summit, to be held in Vietnam later this month. The first summit between the two leaders was a self-claimed success for Trump, who insisted Kim had committed to completely denuclearizing the Korean Peninsula. However, Trump’s Director of National Intelligence Dan Coats said earlier this week that North Korea is unlikely to “completely give up its nuclear weapons and production capabilities”, though they have been less “provocative” regarding nuclear weapons. Trump disagreed and claimed on Twitter that “the intelligence people” were being “extremely passive and naive” but later claimed the comment by Coats was misquoted and taken out of context. President Trump has maintained that we are “doing very well” and that there are “no rockets” in North Korea. The agenda for the second summit is still unclear at this time, though Trump recently said he has a “very good dialogue” with North Korea. A polar vortex caused temperatures to plunge as low as -42 degrees in parts of the US this week. At least 21 people died as a result of the conditions, some in weather-related accidents and at many who froze to death in various states. Temperatures in some areas of the country are predicted to warm over 50 degrees to unseasonably warm highs in less than a week.